A 38-year-old mother of two, Esther Irawo, who is a resident of No. 6 Sule Street, Wera Estate, Ikorodu, Lagos State, has allegedly killed her friend, Femi Afolabi, 38, in order to conceal her adulterous life. Irawo was said to have accused Femi, of informing her husband that he saw her with another man in a hotel and allegedly threatened to deal with him for trying to ruin her home. The deceased’s father, Adeyemi Afolabi, a 72-year-old retired soldier, said he heard Femi shouting from his room that Irawo was trying to strangulate him, but added that nobody cared to inquire what was going on because of the level of their friendship. He added that long before Femi brought Irawo and her husband into the house, they had been friends. The deceased’s mother, Rose Afolabi, said Femi never discussed the issue with Irawo’s husband, adding that somebody else might have done that. She said the suspect made real her threat by killing her son on Saturday. It was learnt that Femi let out a room to Irawo and her husband in the family house when they had accommodation problem a week before he was murdered. Irawo was also alleged to have earlier attempted to take the life her 31-year-old husband, Ezra Joseph, by poisoning his food. Punch Metro learnt that when Irawo served her husband the food, she sat somewhere watching him, but when the man did not eat it, she became confrontational. It was gathered that she cursed the husband before pouring away the food and dropped their baby on his lap as she fled the house. Joseph alleged that his wife had been living an adulterous life, adding that he had traced her to different bars and hotels within Ikorodu on several occasions. 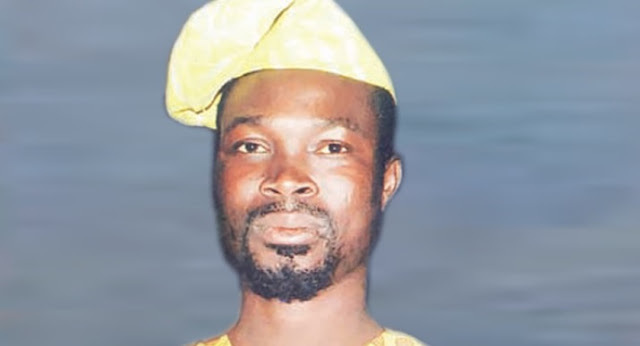 Joseph told Punch correspondent that Irawo thought Femi was the one who reported her extramarital affairs to him, adding that apart from few instances when he got to know by himself, other people in the area also told him about her adulterous life. He stated, “I went to her shop to take my child to a barbershop. While in the barbershop, I saw her walking past. I called her to tell her that I was in the shop with the boy and that when we were through, I would return the child to her. She asked me to take the child to her brother as she would be going somewhere to see a friend. “When she was going, I followed her but she kept looking back; each time she looked back, I hid myself until I traced her to a hotel that is located in a hidden place. The Police Public Relations Officer in the state, DSP Elkana Bala, confirmed the incident. He said the police were on the trail of the runaway Irawo. “We have a report of a woman, who allegedly hired thugs to kill her landlord’s son, Femi Afolabi, for telling her husband that he saw her with a man in a hotel. The woman has been on the run since that day. The police are investigating the matter and are on the trail of the woman,” Elkana added.